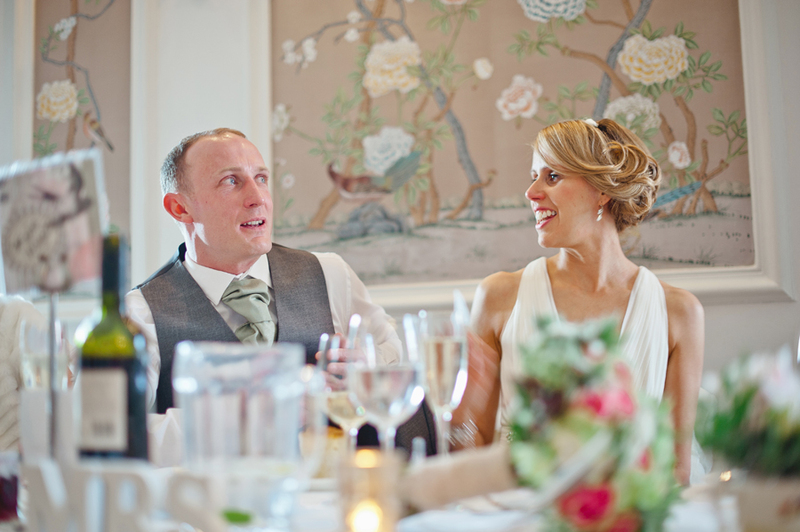 Emma and Paul got married in April this year at the beautiful George in Rye, East Sussex. 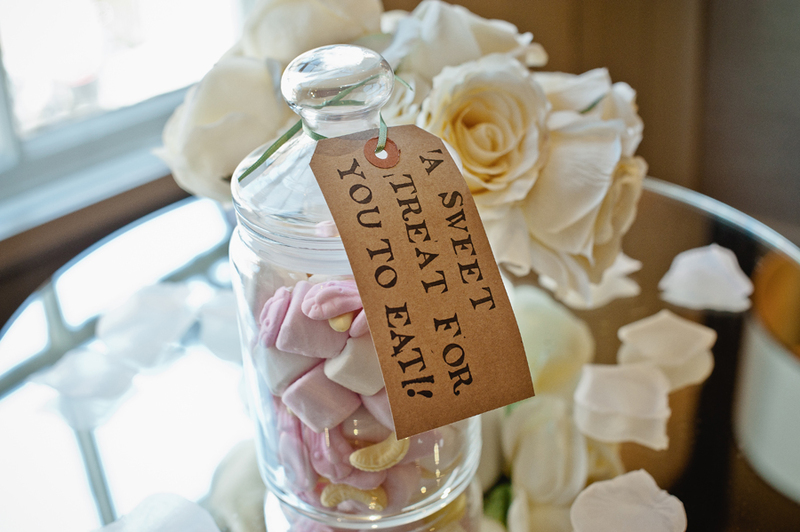 Emma is head of Art and Photography at a Sussex Secondary School and her artistic flair can be seen all over this beautiful vintage glamour inspired Sussex wedding, with gorgeous handmade details like homemade vintage button-shaped sweets and birdcages full of antique pink coloured roses. 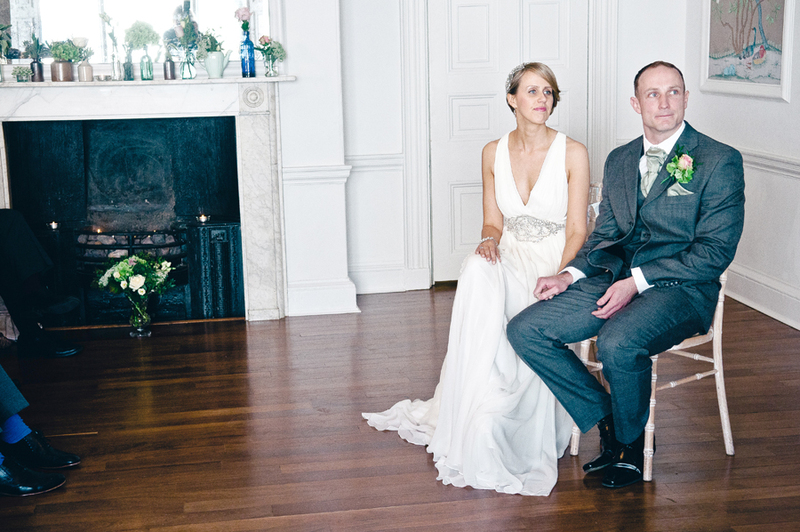 The beautiful photos today are courtesy of Brighton based wedding photographer, Jacqui McSweeney. 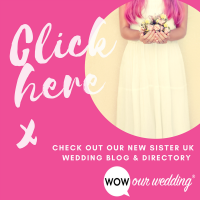 This wedding was first featured on the polka dot pages of Rock My Wedding, but here is what Emma had to say to Love Sussex Weddings about her vintage glamour inspired Sussex wedding. 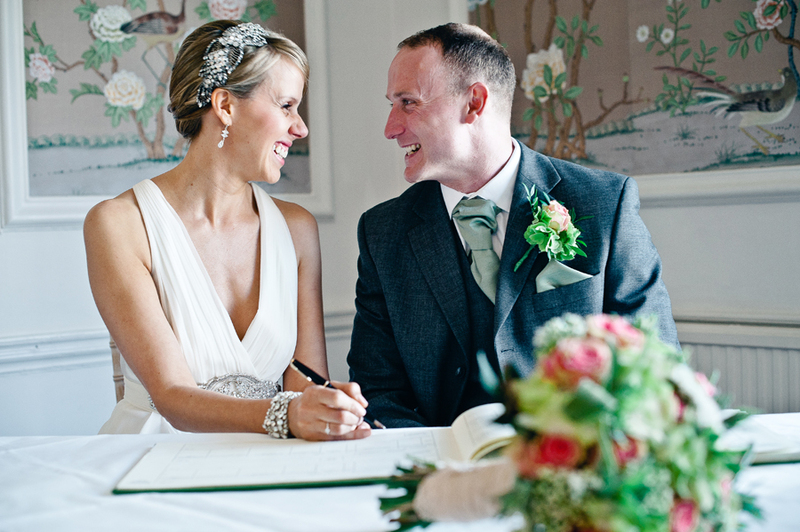 Love Sussex Weddings: Hi Emma, we’ve been looking forward to featuring your wedding. So lets start with how you and Paul met? Emma: We actually met in a club in Brighton about 20 minutes before midnight on a New Years Eve some years ago. My friends and I were running late, having been singing Take That songs under a disco ball at home, it was actually lucky we turned up that night. When in the club a friend took a liking to Paul’s mate and next thing I knew Paul came up to me and asked “Who do we have here then?” The rest as they say is history. We have been together for over five years now. Weirdly we soon realised that not only had we been going to the same bars and pubs for most of the time but that we were very close to each other at university. I studied in Bath, him in Bristol — where I used to go out of an evening quite a lot. It’s definitely true that it is all about ‘right time, right place’. 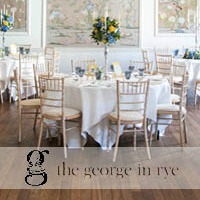 LSW: So from a night club in Brighton to an elegant vintage glam wedding at The George in Rye. Can you tell us how you found the right venue for your wedding? Emma: I had actually seen the The George on Four Weddings (yes I do watch it) and had loved the vintage/elegant feel. When looking for wedding venues in Sussex it came up and it was actually the first venue we went to see. Although we saw others we both fell in love with the place. I couldn’t help but fall head over heels with the wonderful wallpaper of the ballroom. The hotel felt so relaxed and was completely the style and type of venue we wanted. We found every excuse to visit it lots before the wedding. 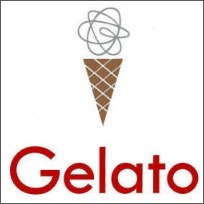 LSW: How about your wedding planning, how did you find your wedding suppliers? 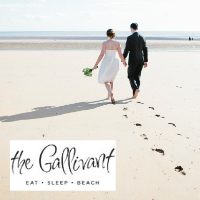 Emma: I started a wedding book within a week of our engagement, which had all my style ideas for the day, I collected images, articles, swatches and contacts, which all got lovingly added to my book. I used magazines, but predominantly the internet. I aimed to have as many local suppliers as possible and so was recommended the florist and hairdresser by Sarah at The George. 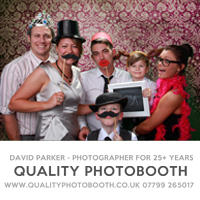 Our wonderful photographer Jacqui McSweeney was local too (she’s based in Brighton). 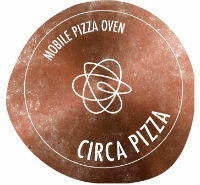 We had a strong idea of what we wanted and were so lucky to find suppliers who shared our vision. 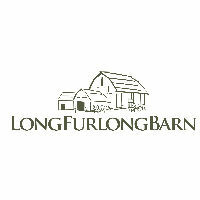 LSW: And where did you get inspiration for your wedding as a whole? 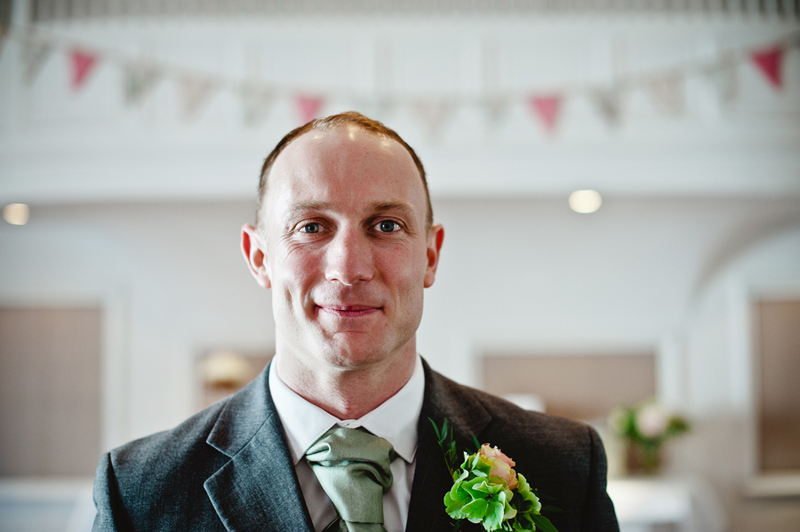 Emma: I knew I wanted to have an air of vintage elegance about the wedding and when I saw the decor at The George it soon dictated how that all went. The colour theme was completely based upon that of the hand-painted wallpaper and so also developed the use of birds too. Eventually ending up with birds even on the embellishment of my dress. LSW: You tied it all in together so beautifully. And your colours were? 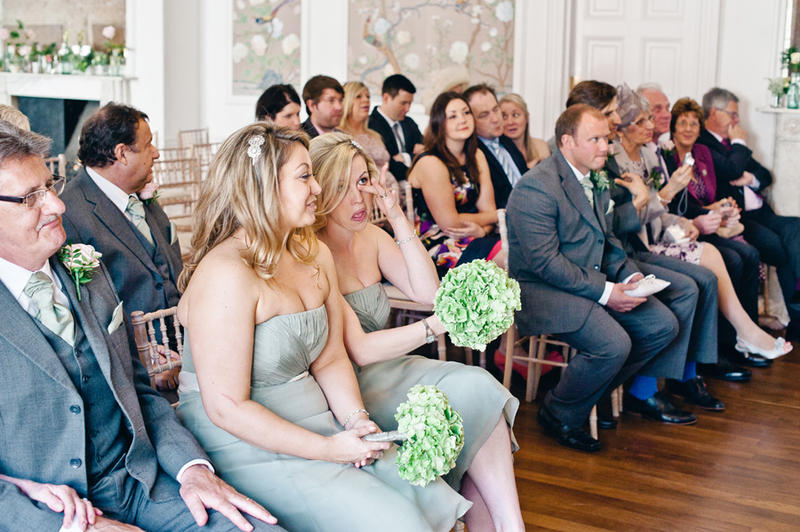 Emma: I wore ivory, Paul was in grey but our main colours were antique pink and sage green. LSW: Those colours sound as gorgeous as they look. 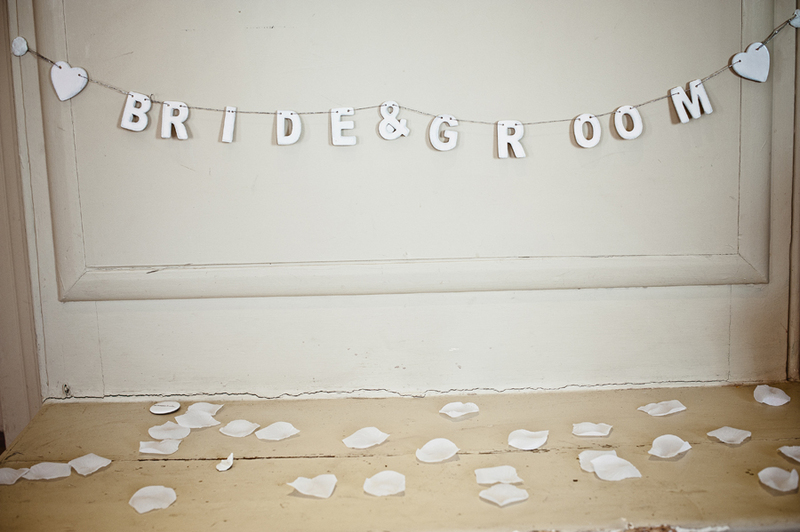 Ok, so were there any wedding traditions that you decided to ditch? Emma: We shared a room the night before (which caused a great deal of horror for some family and friends)!! LSW: You rascals you! 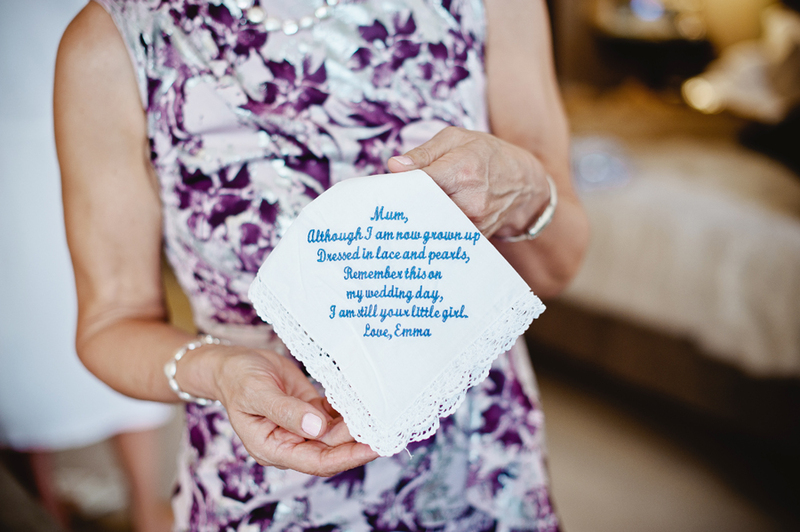 Now then, can you tell us about these gorgeous personal touches you added to your day? Emma: Being an artist I did a lot myself. 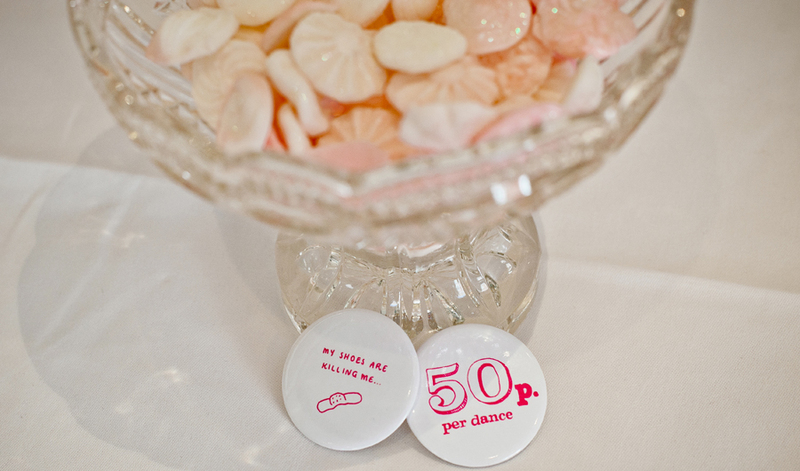 I made the invites, name places, decor I even made some vintage button inspired sweets. I also used buttons from my Nan’s supply who when alive was a seamstress. 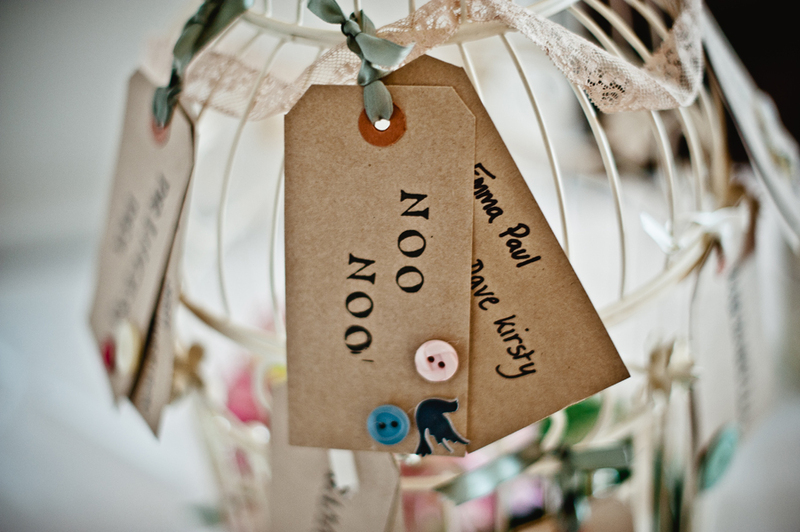 Our table names were also named after the many names we call our gorgeous but very soppy cat Sammy. She has a number of names for her various attributes and personalities! 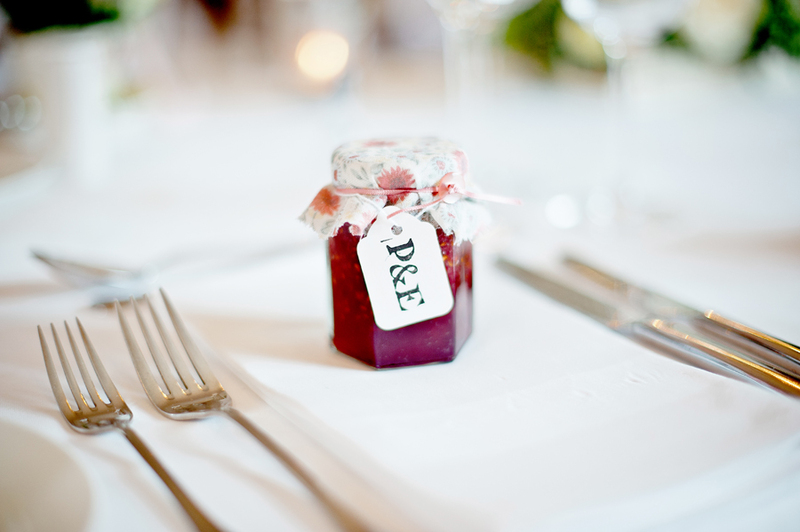 I made all of my favours too which were homemade jam with fruit we had picked (with the help of my bridesmaids’ kids). Emma: Making lots of bits myself not only saved us money it allowed me to add my creativity to all of the styling and gave everything a personal touch. 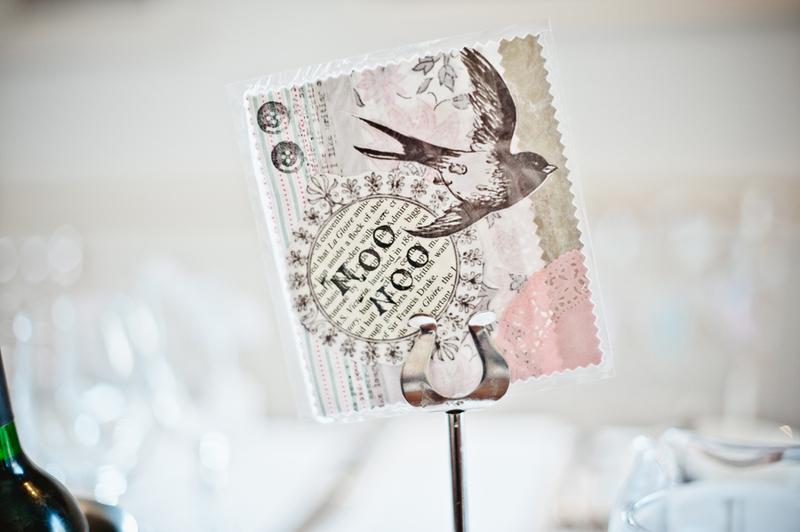 I really loved making the table names and invites but collected stuff for months so that each one could be different. LSW: They are all fantastic and we are looking forward to you sending us a tutorial on how to make some beautiful wedding details later this year. 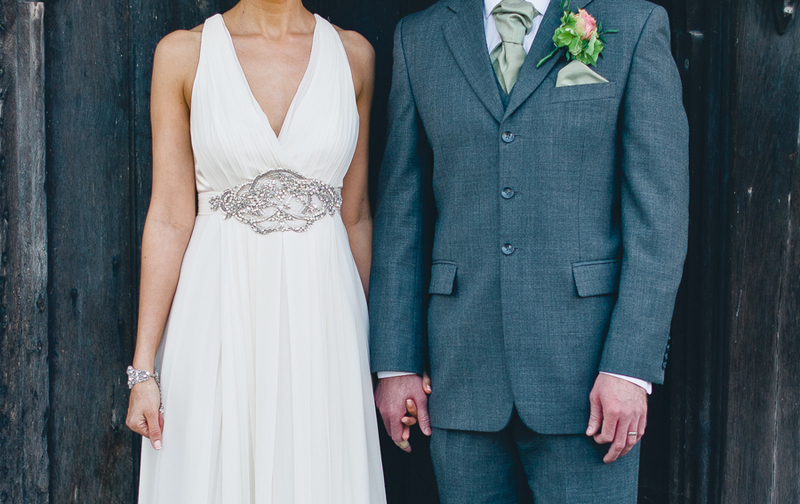 Now on to your gorgeous wedding dress and outfit, can you tell us all about it and don’t spare the details! 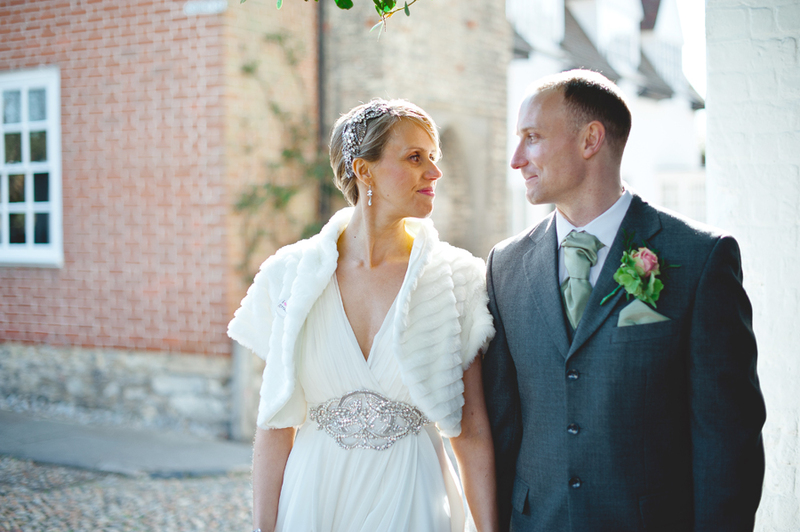 Emma: My wedding dress was a ‘Saskia’ by Jenny Packham from White Mischief in Henfield, where I also bought my Jenny Packham ‘Acacia 2’ headdress, cuff and drop earrings. Shoes-wise I had two pairs, yes I am greedy. I had a beautiful pair of peep toes from Kurt Geiger, but they were very high so I changed into a pair of white and silver Irregular Choice kitten heels in the evening, funny thing is I got them from Ebay and they turned out to be be slightly different the left being shiny and the right matt but they were evening shoes and under my dress so no one could see…..ha ha. I also had a great shrug I found in TK Maxx which I then got for my bridesmaids too, they were rather cheap but perfect. I had a 1940s vintage handbag for later on in the evening as well. LSW: You look amazing. Hair and makeup? Emma: I had a side updo all wonderfully created by the incredible Sarah and her helper from Truffle in Rye. She also did my makeup. LSW: How about your bridesmaids? 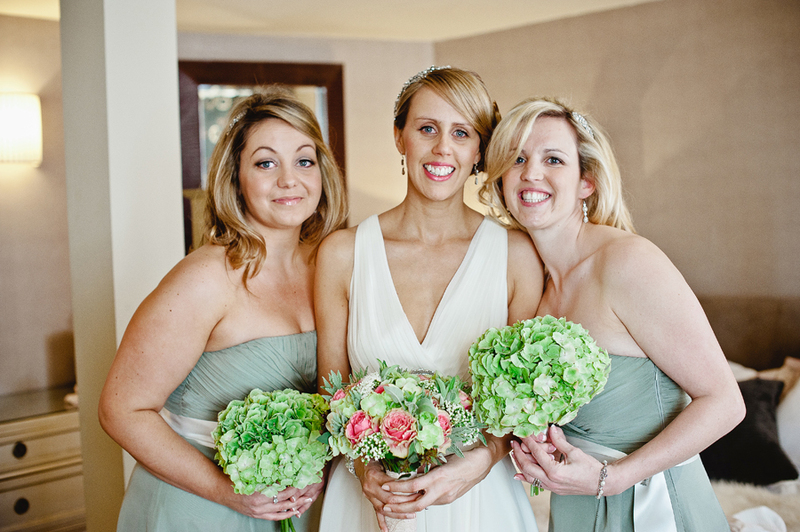 Emma: My bridesmaids wore sage green dresses from Coast which I added the ribbon to and pinned into place with vintage brooches; (I actually had those before I even got my own) and they wore shoes and hand bags from Next. LSW: They look fab. And Paul? 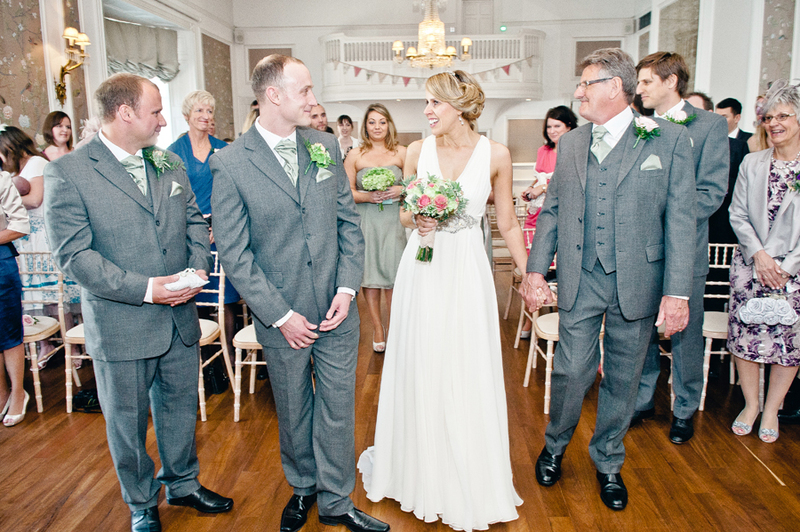 Emma: Paul wore a hired grey three-piece suit from Moss Bros, a sage green tie and a pair of cufflinks I had engraved for him with the wedding date on. He also wore socks with a sparkly ‘groom’ written on them (well he had to be able to have a little bit of sparkle too). LSW: He looked very dapper too. 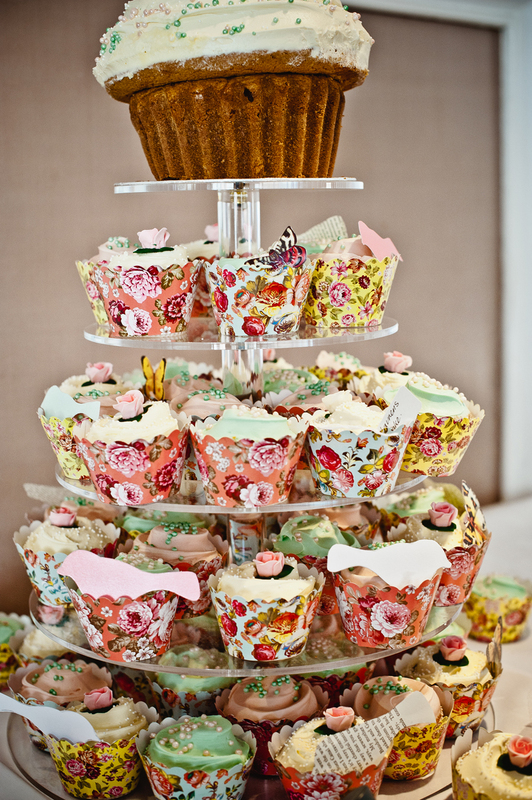 And now on to your delectable looking wedding cake, tell us all? Emma: We opted for cup cakes and a topper cake (which we left at the hotel so never got to taste) all from Angel Food Bakery Brighton. LSW: Oh no they look so delish too! 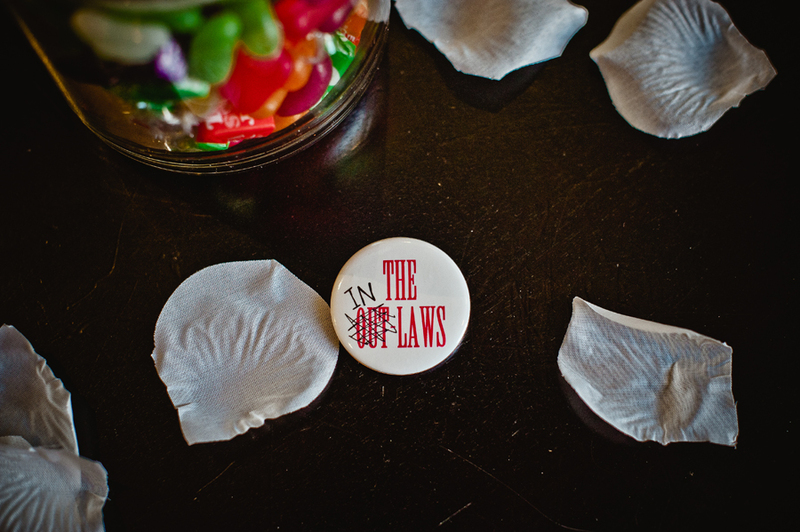 Can you tell us a bit about your wedding flowers? Emma: We wanted Hydrangeas, one of my favourite flowers and also vintage style roses. As well as flowers and beautiful foliage we also had herbs in the bouquet and in our decorations. 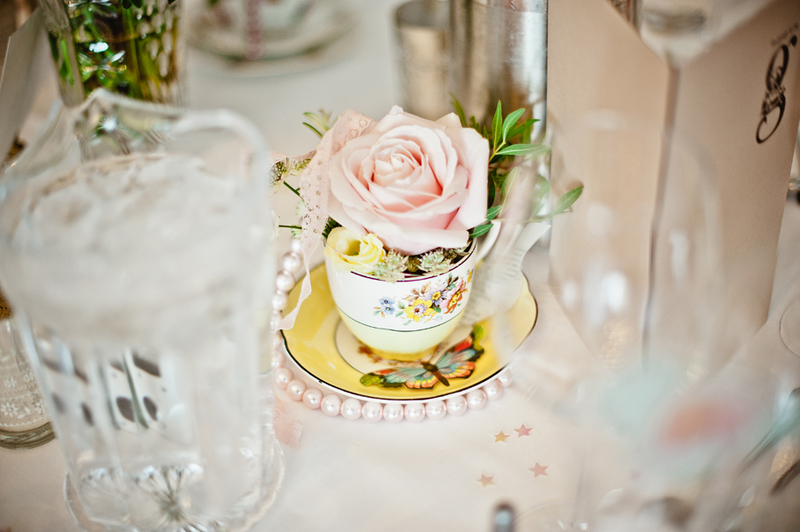 Each table had cups and saucers (which I had collected for the wedding) of flowers and cut glass vases. 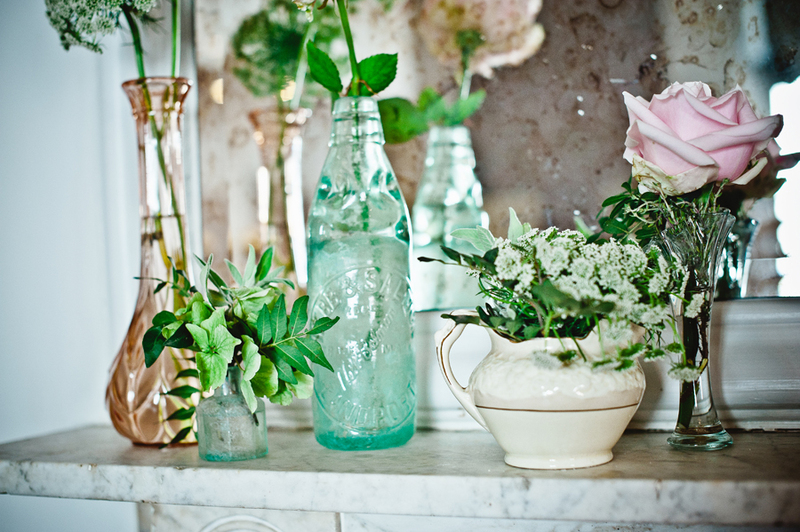 The fireplaces had small vases and vessels which had a mixture of flowers and herbs. 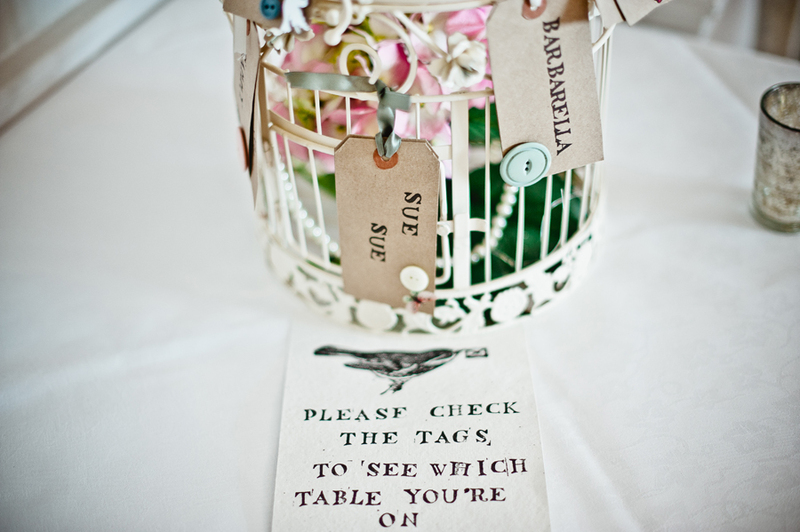 We also had two beautiful bird cages for the top table full of flowers. Our wedding flowers were by Cafe Des Fleur in Rye. LSW: Gorgeous. How about food? Emma: All provided by the venue and all gorgeous local produce. We had Sussex lamb for main and a gorgeous tarte tatine for dessert, yum yum!! LSW: And your music choices? 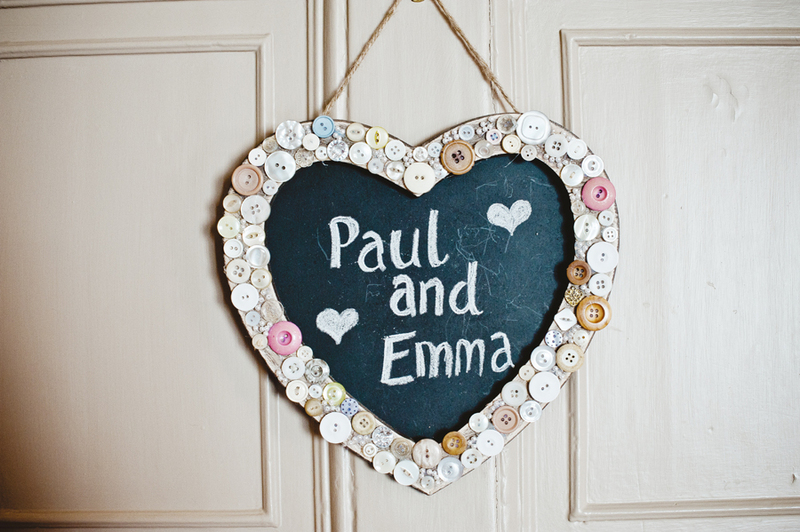 Emma: I am (I’m afraid) a HUGE Take That fan, have been since I was young and Paul has actually taken to some of their music, we both loved ‘Greatest Day’ and therefore had it for our first dance, I think we sang more than we danced! We had Ellie Golding ‘Your song’, Jack Johnson ‘Angel’, Lifehouse ‘You and Me’ and ‘I wanna grow old with you’ from the Wedding Singer as our ceremony music, Paul often sings that one to me. LSW: How romantic that Paul sings to you. Now, can you tell us what you enjoyed most about planning your wedding? Emma: ALL OF IT!!!!! 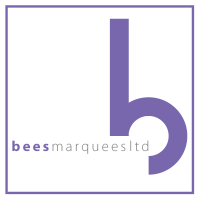 I enjoyed it so much I have since set up a wedding blog and wedding styling business (called Hearts and Buttons) which is just getting off the ground. 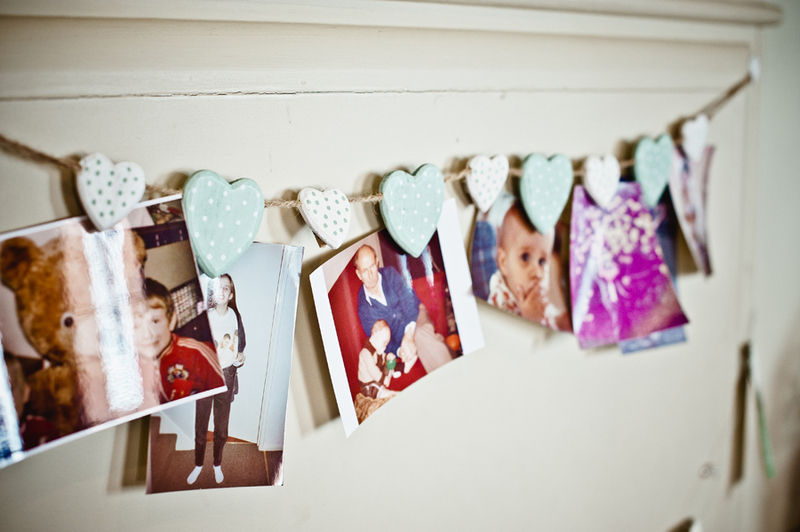 I loved being creative and also realised I love to organise! LSW: And very lovely it is too. And your least favourite part of wedding planning? LSW: Ha ha. Any honeymoon plans? Emma: We are off soon, a little late but we are off to Australia, touring up to the Whitsundays, the Daintree Rainforest and then to Urulu and Alice Springs. A mix of backpacking and luxury! Paul did whisk me off for a minimoon the day after the wedding — we stayed at Bishopstow Hotel. LSW: Wow! That sounds a-maaazing. Well jel! 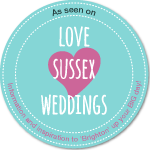 And finally any tips for other Sussex brides to-be? 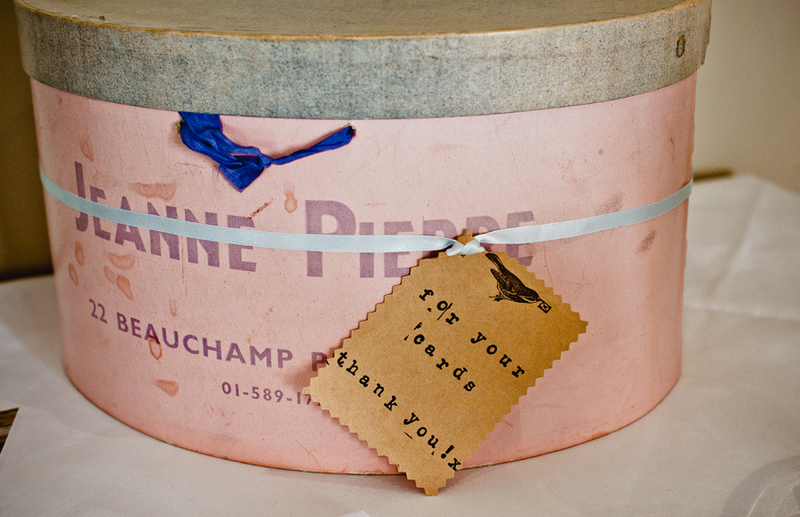 Emma: Definitely where possible shop in Sussex, we have some incredible suppliers in the county and they need to be used. Don’t be afraid to have a go at things yourself, it is incredibly satisfying when it looks great on the day. Go with your heart and do what you want to do. So many people talk about the pressures of pleasing friends and family and end up inviting hundreds of people. If you don’t want it don’t do it!! Oh and don’t be afraid to ask people for help, it will ensure you don’t become a bridezilla! 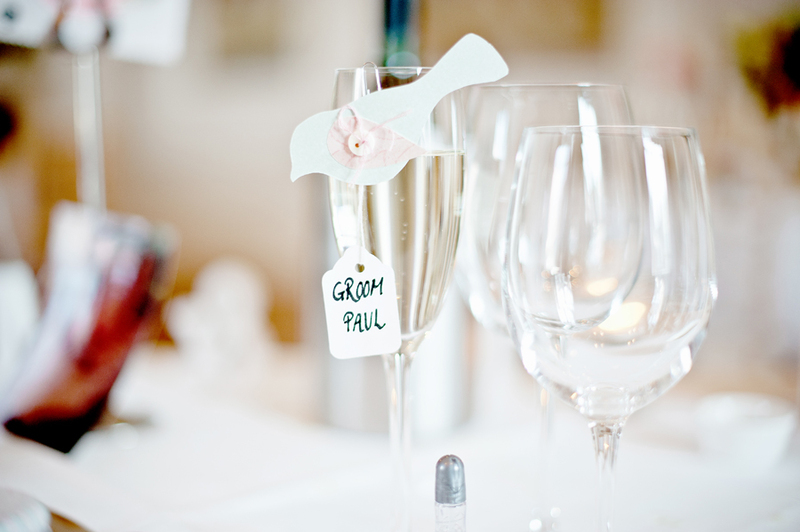 Thanks so much to Emma and Paul for sharing their gorgeous East Sussex wedding with us. We love a bit of vintage glam and we think that Emma did an amazing job with all the gorgeous little details she added to her day, so lovely that all the inspiration came from the venue they chose too. We can see why Emma has ventured into wedding styling. Emma has promised to send us over a tutorial from her blog for making some vintage inspired wedding details too (when she’s back from her amazing honeymoon) so watch this space for that too! OK so coming up next on Love Sussex Weddings we are staying East-side (of Sussex that is) for another creative Sussex couple’s funky colour-poptastic barn wedding. See a sneak peek of their most brilliant stripy rainbow cake here to give you a flavour of what’s to come.